Can you believe this year is over?! Tonight we will ring in 2015…seriously where does time go?! Today I want to take a look back on all the great reads I’ve had this year and how this little ole blog got started 😉 The End of Year Book Survey was created by Jamie @ the Perpetual Page-Turner and I love her questions. It’s a great way to reflect on all that I’ve read and I love reading everyone’s posts! Now I have a few books I’ve added to my TBR because of it! For more info on Jamie’s survey, click here. This post has also been linked with many others who are participating! 160 books according to Goodreads which met my 125 book challenge this year 😀 I kinda read a lot! 8 books…I’m a bit disappointed as I didn’t read Twilight or Hunger Games this year. Those are my go-to reads every fall and I read them like clockwork! This will be a priority in 2015! Okay I have to cheat a bit on this one! Asking a bookaholic to name one book is like asking a mother to name her favorite kid!!!! Daughter of Smoke & Bone by Laini Taylor has to be my favorite fantasy read for 2014. I had put off reading this book because angel/demon mythology has never been my thing, but I was way off base thinking of this story in that light. It’s an epic urban fantasy set in two worlds with creatures who have been at war for thousands of years. In other words if you haven’t read it yet, get it!!!! Into the Still Blue by Veronica Rossi…just the entire trilogy…it’s amazing!!! I stumbled across the first book in 2012 when it was first released and anxiously awaited each one. The author delivers a fantastic end to the series and the dystopian world she creates is just….OMG!!! Futureless by K.J. Draeghan blew me away! This is a debut novel and I would never have realized this if the author hadn’t told me. There are five (really six) main characters with alternating POVs, a world entirely made up by the author, and it is pure gold! It’s an epic fantasy, sci-fi adventure that if you haven’t read you need too. I promise I’m not making this up! I wasn’t excited about reading it (remember my confession earlier in the year about being a cover snob?) and well all I can say is that about 10 pages into the story I was hooked! This author needs love and her books to get attention because I want…no I NEED to read more! Okay this book was not at all what I expected. I haven’t written a review yet for this book even though I read it two months ago because I don’t know how to form my thoughts to make it make sense. Astra by Naomi Foyle is about a young girl and the society she lives in. It’s set in a dystopian type world and it is way out there! I’m still not sure how I feel about it. The Dwellers Saga by David Estes is a 7 books series and I’m a little over half way through. It’s amazing! And for my dystopian obsession it’s perfect. The Legacy book one of this series is amazing and I didn’t think it could be topped, but Melissa Delport did it with The Legion! The sequel was action-packed, full of heart-break, and more world-building/character-building as more info is revealed about what caused the destruction in this New Adult dystopian trilogy…can’t wait for book three (only two more months!!!!). Guards of the Shadowlands by Sarah Fine has to be one of the best urban fantasy, young adult books out there! I loved the series from start to finish including all the novellas. The last book did not disappoint either! The author answered all of my questions and the characters got the ending they deserved. LOVED it! 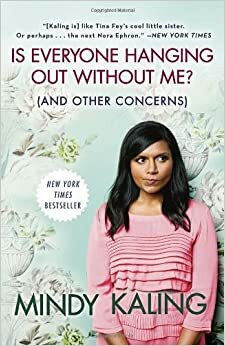 I do not usually enjoy nonfiction, however I Mindy Kaling! This book was just so much fun and such an easy read. By the end, I felt like I had a new best friend. Fae by the sister team C. J. Abedi was by far a book that I read in one sitting and could not sit down…the sequel too! I’ve never cared for fairy mythology until I read this book and then I was hooked. Though it’s not action-packed, there was a lot of mystery and drama that just kept me reading. I COULD NOT sit it down! Arowyn from The Broken Ones by Jen Wylie…she’s strong, fierce and I can’t wait to see what happens next in her life! The End of Innocence by Allegra Jordan is a story about a young American woman falling in love with a German while both attending college in America at the start of WWI. It’s a heart-breaking, beautiful story that haunted me for days after I read it. While not life-changing for me, A Beautiful Family by Marilyn Cohen De Villiers was thought-provoking and a page-turner. The scandal of a mother being murdered and the father on trial, all the while a reporter slowly uncovers the grisly details of the family who was thought to be a “good” family. arbitrate by Megan Thomason left me reeling. I was screaming at my Kindle and yes I was also crying and not the pretty crying either. I was sobbing! There were so many twists and turns and deaths in this book…I need the ending….pretty please!!!!! So many people I know have given up on this series, but Top Secret Twenty-One reminded me why I fell in love with Stephanie in the first place. I loved it and I say bring on twenty-two! An old friend from high school and I started talking books on Facebook earlier this year and have been swapping recommendations. So far she hasn’t steered me wrong. The Unearthly was one of the first series she recommended to me and I fell in love with the characters. The book is a short, fun read full of paranormal goodness! For Better or for Worse by Ingrid Nickelsen takes this title! The whole concept was surreal. The main character is dead and the entire story takes place in the afterlife where she has no memories from when she was alive. Wonderful read full of breath-taking visuals! I know you are probably getting tired of seeing this author, but I love her! Of River & Raynn – The Catalyst takes place in an alternate world and the visuals I got while reading this book…oh my! I want to go there!!!! Backward Compatible by Sarah Daltry & Pete Clark made me laugh until I cried. In fact, there were times I woke my husband up at night because I was snorting/laughing! It’s a New Adult contemporary romance, light on the romance and heavy on the gaming geekery. As a former gamer myself, I loved it! I would love to see it as a movie. I think it would be a great romantic comedy! I really have no words! Addiction put me on an emotional roller coaster that I was too scared to get off. I devoured it staying up til like 4am to finish it and cried through a good 40% of the book. 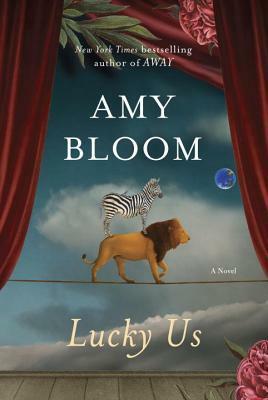 I’m eager to read the final installment to know what happens to these characters! 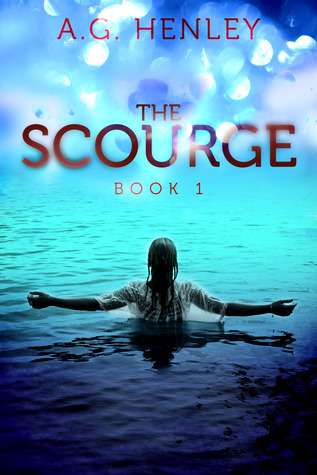 The Scourge by A.G. Henley was one of the first books I read this year and I loved it! It’s a YA dystopian about a girl who is blind and because she is blind she is protected from the Scourge (zombies!!!). Very good, fast-paced read and with some twists that will surprise you! Melt was originally billed as a loose retelling of The Wizard of Oz….it is not and the publisher has fixed that saying that it’s concept and plot line follow the story. Ummm…basically it is about a young teen that lives in an abusive home and how he finds solace in Dorothy a new girl in town. This story ripped me to pieces!!!! The serial series Spearwood Academy by A.S. Oren is by far the most unique series I’ve read and it’s fun 😉 The story is urban fantasy as it revolves around a young dragon-shifter and her friends who also turn into dragons, but the author makes it interesting by throwing in a lot of pop culture references (Harry Potter and Doctor Who to name a few). I can’t get enough of the series! Distraction by Angela McPherson was one of the most frustrating books I’ve read all year! However I loved it! The two main characters are best friends who love each other but have never crossed that line. Basically I was screaming at them the whole book. This is my first year blogging and I didn’t start following book blogs until late 2013. However there are two blogs that stand out in my mind as my favorites, Cait @ Paper Fury and Ashley @ Nose Graze. Cait makes me laugh and her reviews usually correlate with how I feel about the books. In other words I trust her judgment 😀 Ashley’s blog I discovered when I was designing my own and needed tips on how to do it. In fact my design comes from her! I would be lost without her blogging tips posts! What’s Your Five was a discussion post I did back in June. It was question that was posed to me by a friend: what five books do you think everyone should read. It was fun and made me reflect on some of my favorite books! The post is also one of my most viewed. Actually it’s a post that I published earlier this week! My New Year’s Resolution post which was posted on Monday this week has had over 600 visitors, that’s a new record for me. It was fun to write and well, with so many people seeing it, it would be awfully embarrassing if I didn’t fulfill my resolutions. One of my Top Ten Tuesday posts, the one where we stated places from books we wanted to visit. I am so proud of this post and it was one of the posts I had the most fun writing! I had only set one goal for myself this year and that was to read 100 books on Goodreads. This summer I realized I would meet my goal way before the end of the year so I upped it to 125….well I beat it with 160 books!!!! The Mortal Instruments, but thanks to my sweet hubby for my Christmas gift I will be reading them ASAP! Dawn of Ash by Rebecca Ethington, the last book in the Imdalind Series…I’m not sure if I’m ready or not to let go of these characters!!! I would really like to take the time this year to read books I want to read in addition to the ARCs I receive. Don’t get me wrong I love ARCs but sometimes I want to curl up with an old favorite or a book that’s been sitting on my shelf for months. Anyone else get me? Well 2014 may be over, but 2015 is looking to be a fantastic year! What books were your favorites this year? What are you looking forward to reading next year?